With six points in the past two games, Henrik has turned it on when the Canucks have needed him the most. Henrik Sedin, the man known for setting goals up for his teammates, has helped delivered an even bigger prize to the city and fans of Vancouver; a berth in the Stanley Cup Finals. The Canucks captain played exceptional recently against San Jose, which followed a few days away from the ice to recuperate from Vancouver’s second round series win over the Nashville Predators. Henrik emerged in the Western Conference Final after getting some slack in the media about his play and immediately showed that he was going to be a key factor in getting the Canucks to their first Stanley Cup Final in 17 years. With six points in the past two games, Henrik has turned it on when the Canucks have needed him the most. His ability to control the puck, and the pace of play, is something that cannot be taught and has been a valuable resource to the Canucks when things have intensified during the playoffs. With his brother Daniel and Alexandre Burrows on his wings, Henrik has been like a general, conducting the flow of the game and distributing the puck to his teammates in goal scoring areas near the opponent’s net. He has also contributed some highlight reel plays, including a sweet 2-on-1 feed to Burrows in Game 4 that was replayed many times, much to the dismay of Sharks fans. With Henrik at the top of his game and the Canucks in the Stanley Cup Final, the Swedish star will have one more opportunity to conduct and control a series, which could ultimately lead to him being handed the biggest prize in all of professional hockey, the Stanley Cup. Role models for all hockey players on and off the ice for almost two decades, the Sedin twins were particularly influential young Swedish players like de la Rose. Vancouver Canucks teammates reflect on Henrik Sedin's accomplishments on and off the ice, after the captain netted his 1,000th career NHL point on January 20. 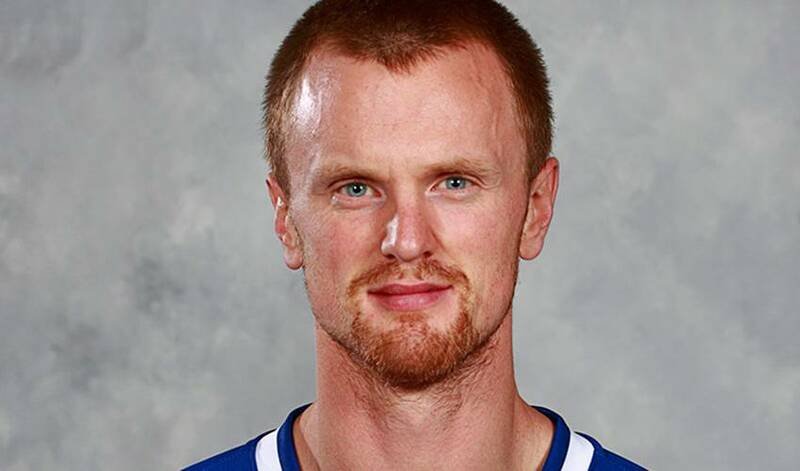 Henrik Sedin has reached the 1,000 NHL career-point milestone – all with the Vancouver Canucks.